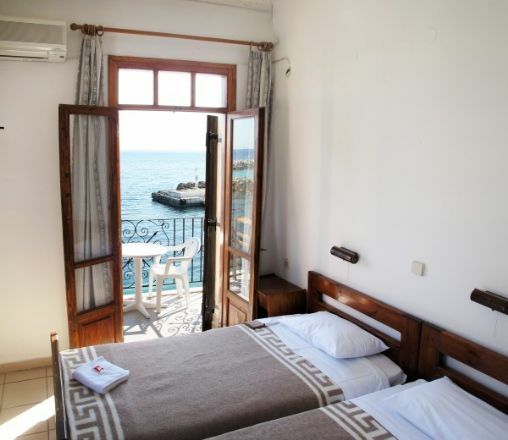 All rooms have a balcony with sea view. 25 Euro per room per night. 30 Euro per room per night. To make a booking call (00 30) 28250 91261 if you are calling from from outside Greece or if you are already on Crete call 28250 91261. Enjoy fantastic views from our rooms overlooking the Libyan Sea at Chora Sfakion. Call now for details of our early season prices. Click on our photo to go to our contact details.